As local residents encounter difficulties in emergency and transitional situations, many look to Good Samaritan Shelter for assistance. Providing housing and support services to homeless and those in recovery on the Central Coast, many residents gather strength for their journey back onto their feet through Good Sam. During their transition, many utilize bicycles as a means of transportation to places of work and school. Unfortunately, their bicycles, even though they are locked, have periodically been stolen from the premises, setting back residents on their road to recovery. That is where the Class of 2018 stepped in. Utilizing their background and expertise, the Class of 2018 elected to promote a solution to this unfortunate situation. Through partnering with local businesses and foundations, LSMV Class of 2018 and Good Sam are working to create a large bike cage to be constructed on the premises. This feature will allow the residents of Good Sam to securely store their bicycles on the property, allowing monitored access to bike owners only. "Good Samaritan Shelter is so excited about this project,” says Sylvia Barnard, Executive Director of Good Samaritan Shelter and 2002 LSMV alumna. “Many of our clients rely on their bicycles for transportation, and keeping them safe on campus is important for bicycle security. This project will allow clients to rest assured that their bikes will be safe while they are receiving our services. We are so grateful to the 2018 Leadership Santa Maria Valley class for their commitment to making a difference in the lives of those we serve." This timely project will fill the needs of the individuals at Good Sam, and simply could not be done without the continued support of the local business community. With an anticipated completion date of May 22, the LSMV Class of 2018 Bikes for Success will make the transition of hundreds in the Central Coast measurably better. If you are interested in sponsoring this project, or for more information, contact Elyssa Ibarra, Class of 2018 Leadership Santa Maria Valley at (805) 733-7808 or elyssai@coasthills.coop. 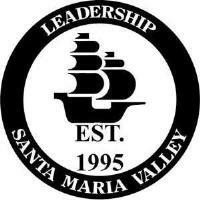 Leadership Santa Maria Valley is an 11-month leadership program designed to foster and create future community leaders. The program allows participants to increase their understanding of local issues, challenges and solutions while expanding their personal and professional networks and refining their leadership skills. Each Class gives back to the community with their own unique Legacy Project. Founded in 1995, LSMV has over 365 graduates serving in a variety of leadership roles in the government, service and business sectors today. For more, visit leadershipsantamariavalley.com.